Time-lapse footage captures the six-hour process of a Japanese Spider Crab moulting out of its shell at SeaWorld San Diego. Footage from SeaWorld San Diego shows a Japanese Spider Crab, the largest crab species in the world, dramatically moulting its shell over six hours. Staff at the aquarium set up a time-lapse camera above the habitat of the Japanese Spider Crab in the hopes of capturing the moulting process, in which the crab lost all of its shell when it became too big for it. 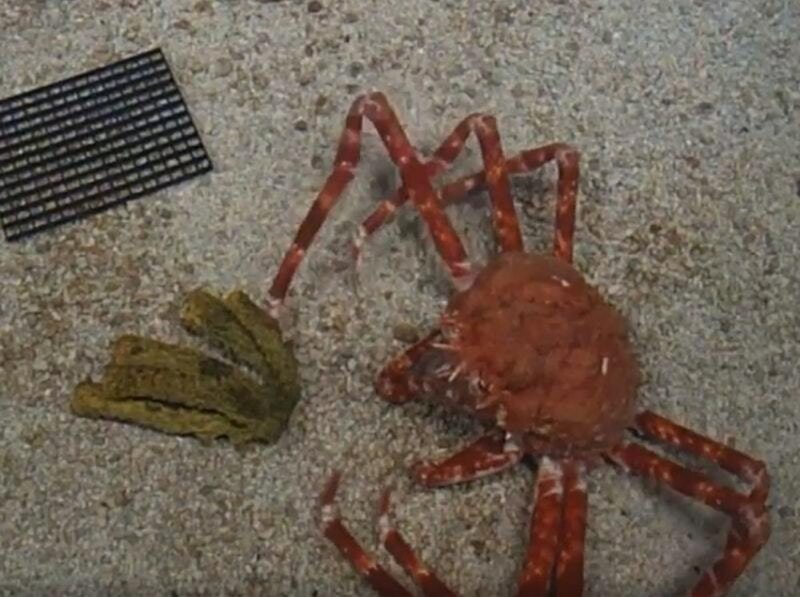 The video shows the large crab leaving its old shell behind and emerging a vibrant red colour. Aquarium curator Mike Price said: “It’s a perfectly natural occurrence for a spider crab. The hard outer shell of crabs and other crustaceans does not grow, therefore the arthropods must shed their shell in a process called moulting when they outgrow it. The process can take anywhere from two to 12 hours.